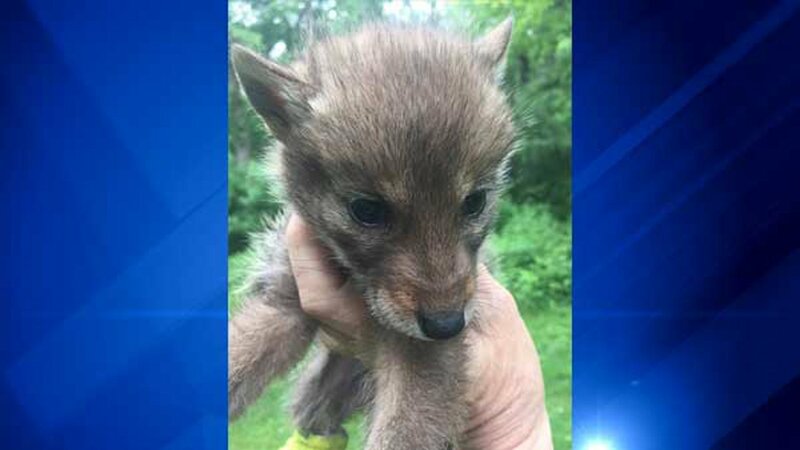 BARRINGTON, Ill. (WLS) -- Cook County Forest Preserve police are looking for the person who drowned six coyote puppies in northwest suburban Barrington. Seven pups were found on May 11 in a plastic bag in the Penny Road Pond, which is part of the Spring Creek Valley Forest Preserve, police said. Six of them died. Only one survived. Chris Anchor, a wildlife expert from the forest preserve, said the animals were only weeks old - so young that they would not yet have come out of their den. "They were not yet out of the den, so someone had to go into a den and pull them out. So I find it hard to believe that they were running around and someone gathered them up and did this," Anchor said. The surviving pup's leg was completely shattered, police said. He was taken to Flint Creek Wildlife Rehabilitation, where veterinarians worked to save his leg. Caregivers said Tuesday he was improving, but his injury was so severe it's unlikely he will ever be released back into the wild. The Illinois Department of Natural Resources and forest preserve police are investigating. Anyone with information regarding this incident should call the IDNR tip line at 877-2DNRLAW (877-236-7529). Whoever is responsible for killing the coyote pups could face animal cruelty charges, police said.